Autumn weather has arrived in many places, bringing with it all of the usual changes, but you may not know this from the ongoing wildfire saga that continues summer burning conditions into fall. The phrase "largest wildfire in California history" shifts to accommodate the still growing wildfire catastrophes brought on by 5,491 fires burning 1.2 million acres in this fire season alone. The Mendocino Complex fire, which contains the River and Ranch fires, has burned up almost a half million acres — including 157 homes and 123 structures. It is now almost 100 percent contained, thankfully. This is not without great sacrifice, including the lives of those who courageously fought these and other fires that grew to become the largest in California history. All eyes are now on the Delta fire, which started burning on Sept. 5. The fire exploded onto Interstate 5, a major highway that runs from Canada to Mexico, causing the interstate’s closure over the weekend. As of the afternoon of Sept. 10, that highway has been reopened. The fire season, which is already 72 days longer than it was a few decades ago, not only taxes local resources and stretches out firefighters’ capabilities, but it is also extremely expensive. Cal Fire reports already spending $432 million through August, leaving only $11 million in the current budget. Legislators have been asked to approve an additional $234 million for ongoing expenses. Money is one growing problem. Another problem is finding bodies to fight the fires. It has become routine to acknowledge the state’s dependency on prison inmates to fight fires, as it is estimated that roughly 30 to 40 percent of those battling California’s fires are prisoners. There are currently 218 inmate crews in 29 counties trained to fight fires. Of course, since prisoners’ wages are less than minimum wage, it is said that the use of inmate firefighters saves the state $100 million annually. The average firefighter makes at least $10.50 hourly, which is nothing for that kind of risky work. But prisoners are paid $2 daily plus $1 hourly on average. This savings comes at a social cost. While working on the frontlines of California’s wildfire crisis is hailed by some as an opportunity, it’s been noted that safety remains a deterrent. 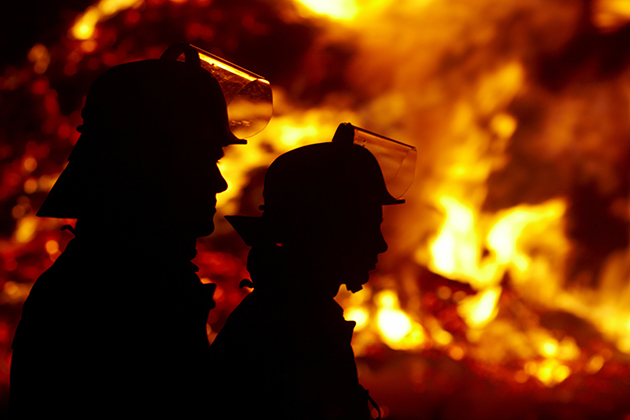 Firefighter programs have lost 13 percent of their volunteers in the past decade. Add to the firefighter shortage the growing concern that the general fire season is extended. Most officials recognize the role climate change plays in creating the original dry conditions for the fires to spread. Building houses on fragile rural land tracts is also under immense scrutiny, as housing remains in demand and cheaper prices with more space grown available in rural places. The related news that California legislators are striving for 100 percent renewable energy by 2045 is being well-received under these high pressure wildfire conditions. On Sept. 10, Gov. Jerry Brown signed Senate Bill 100, which "speeds up the state’s timeline for moving to renewable energy sources like solar and wind and requires all retail electricity be generated by renewables by 2045." At the SB 100 signing ceremony, Brown announced an executive order directing California to "achieve carbon neutrality, meaning it would remove as much carbon dioxide from the atmosphere as it emits, also by 2045." This will be achieved by emissions reductions and "carbon sequestration in forests, soils and other natural landscapes." If you follow California’s topsy-turvy political climate you know not to get too excited about this 2045 goal. Gov. Brown terms out in 2019, leaving the ability for a future governor to rescind this measure.